The Episode starts with someone shooting Sir ji. Sir ji runs to get saved. The shooter follows him. Sir ji gets shocked and asks him to stop. He asks did Ronak pay you, I will give you ten times money, listen to me. He throws dust in the shooter’s eyes and runs. He comes home and asks Gayatri to do puja as per the mahurat. He goes to change. He sees Ronak and gets angry. Dolly comes for the engagement. Armaan and Dolly exchange rings. Muskaan comes there and asks them to stop the engagement. Kajal asks why did you come to spoil the engagement when you said you won’t come. Muskaan recalls meeting Jaya on the way and telling her about Armaan. Jaya consoles her and asks what will you do now, it won’t be right if Dolly marries that guy. Muskaan says I know, I can’t let this relation happen. FB ends. Muskaan exposes Armaan’s truth and tells them that Armaan tried to misbehave with her. Bua asks her how can she blame a decent guy like him. She insults Muskaan. Ronak looks on shocked, while everyone scolds Muskaan for defaming Armaan. Sir ji asks Mrs. Sinha to see what is Muskaan upto. Gayatri asks Mrs. Sinha to decide, how Muskaan is ruining the family, Ronak has turned blind. Armaan’s parents get angry and refuse to have any relation. Armaan asks why do you want to break my relation with Dolly. Mrs. Sinha says its about Dolly’s life, you praised Armaan yesterday, do you have any proof. Ronak stops Muskaan. He says this time you are wrong, you are blaming Armaan, its a misunderstanding. He asks Armaan to give his phone, so that they can prove Muskaan wrong. He takes Armaan’s phone and checks the call log. He connects the phone to tv and tells them to see his filthy side. They see Armaan with a girl, flirting and misbehaving. Dolly gets angry seeing his cheap side and slaps him. Everyone gets shocked. Ronak asks them to decide it now, who is right, Muskaan or Armaan. Ronak asks Armaan’s parents to see his son’s doing. He recalls meeting the guys who troubled Muskaan. He learns that Armaan has asked them to do this. He takes help from Jai. He asks Jai to bring out Armaan’s truth. Jai agrees and sends the girl to Armaan. Armaan acts cheap, while Jai records them. Ronak exposes Armaan in front of everyone. He asks them to praise Muskaan than scolding her, she took a brave step to expose Armaan. Muskaan cries. Ronak asks Muskaan not to cry or hide her face. He says Armaan should hide his face. He asks her to slap Armaan and not get afraid. Muskaan slaps Armaan. Ronak encourages her to punish Armaan. Ronak and Muskaan expose Armaan. Mrs. Sinha smile. Ronak scolds Armaan. She praises Muskaan for risking her respect and saving Dolly’s life. Dolly feels bad. Ronak says I salute women power. Ronak says you always insult Muskaan. Sir ji says you have put my life in danger. Ronak denies it. Gayatri defends Sir ji. 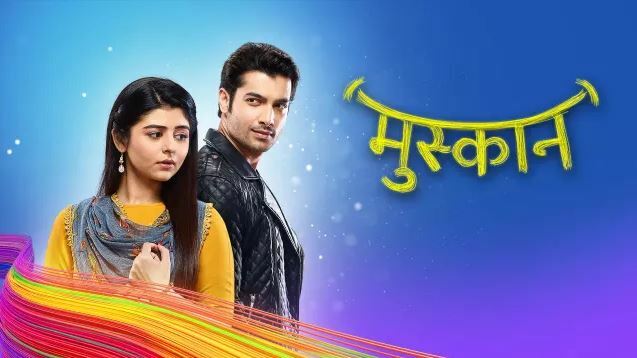 The post Muskaan 8th March 2019 Written Episode Update: Muskaan and Ronak expose Armaan appeared first on Telly Updates.